The Shiv Panchakshar Yantra, also called as the Shiva Panchakshari Yantra for Success is a most powerful Yantra symbolizing Lord Shiva. This Yantra is considered most beneficial for the sincere Shiv Upasaks. In this post, I have explained the procedure of preparing and energizing this Yantra and it benefits for the worshipper. This Shiv Panchakshar Yantra should be prepared on Copper [Tamba] and installed in the Puja Place on a Monday. The Sadhak should chant the Shiva Mantra - Om Namah Shivaya- ॐ नमः शिवाय – 108 times before the Panchakshar Yantra daily in the morning after having a bath. It is most beneficial to offer a fresh and scented white colored flower to the Yantra daily along with Milk. After the conclusion of the Puja and Mantra, chanting the Sadhak should offer Sugar to the Yantra. It is most auspicious to make white colored offering to the Panchakshar Yantra and hence a white flower, milk and sugar should be offered. Daily worship of the Shiv Panchakshari Yantra will be extremely beneficial for the Shiv Upasak and all his needs and desires will be fulfilled with the grace of Lord Shiva. 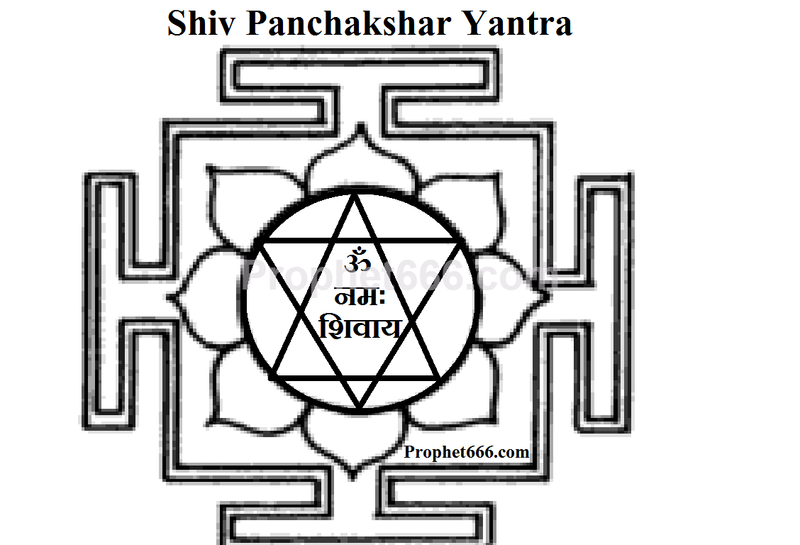 Some of the main benefits of the worship of the Shiv Panchakshari Yantra are mentioned below. Notes - Women can perform this Shiv Panchakshari Yantra Prayoga, except during their Monthly Cycle. I have mentioned what is prescribed in the Tantric Texts as to the preparation and worship of the Shiv Panchakshari Yantra. If you have an alternate method of preparing and worshiping this Yantra, please go ahead without consulting me. Neel sir, I have a few awesome Yantras in my possession, I would like share them with you and your site so that a wider spectrum of people could benefit from it but how do I send an image of the Yantra? The contact form doesn't give an attachment option. Tell me, what to do? Just write the message on the contact form, I will reply through my mail.